How to Exchange and Deposit Old 500 and 1000 Rupee Notes in bank and Post Office? Process to exchange and deposit Rs. 500 and Rs. 1000 notes in banks and Post Office. In case of post office, all head post offices as well as sub post offices will allow such exchanges. One thing you need to know about the exchange is that there is limit set for this exchange. One person cannot exchange more than Rs. 4,500 . But you can deposit any amount of rs in Banks and Post Office. 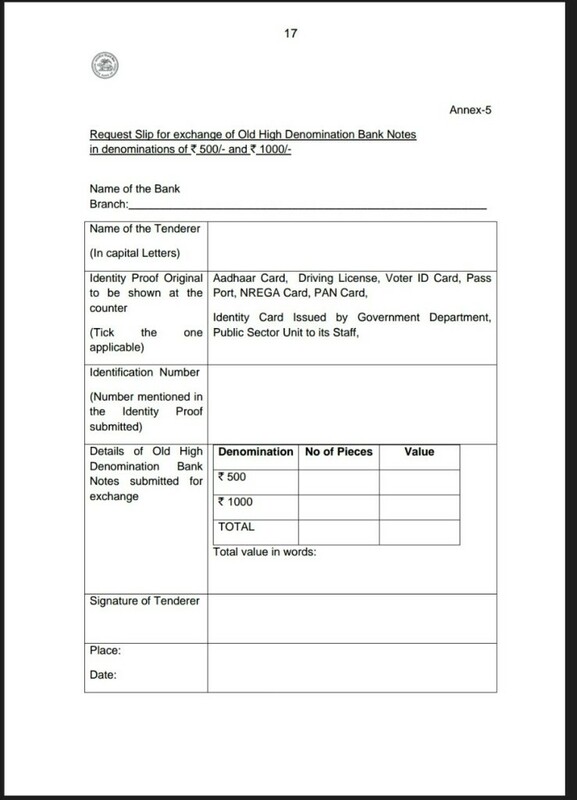 In both Post office and Banks you will have to fill the Exchange or Deposit of old notes form and an ID Proff.